This has been my latest card that I made. I have drawn the octopus picture on piece of square paper. Pasted the same on black background paper . Then, I cut the slightly bigger square . I have then pasted the octopus card topper, in a slightly tilted fashion. I have used black ink to rubber stamp the quote , and added a few extras like the stars. 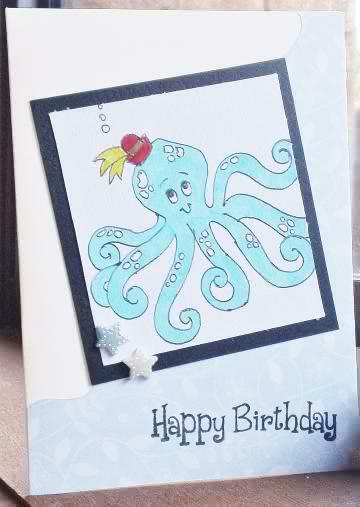 At the end the very cute octopus card is ready!